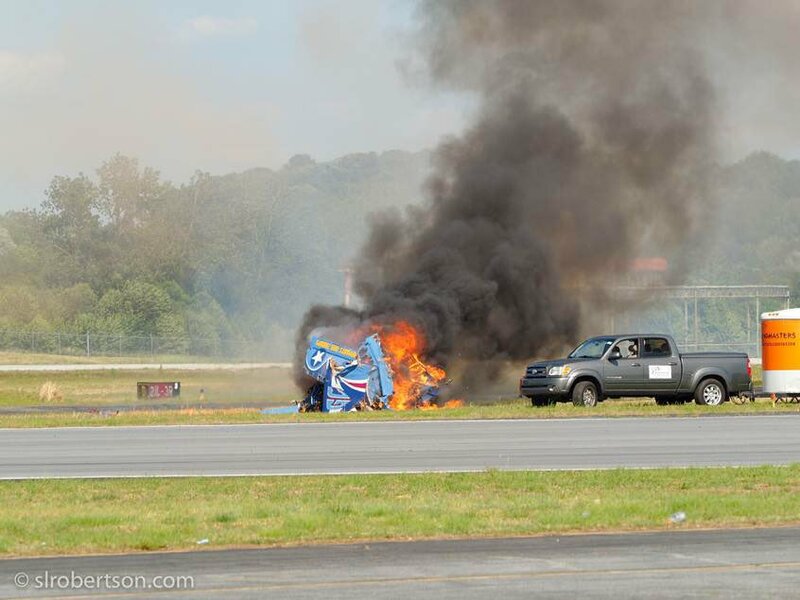 that crashed at Dekalb-Peachtree Airport (KPDK). 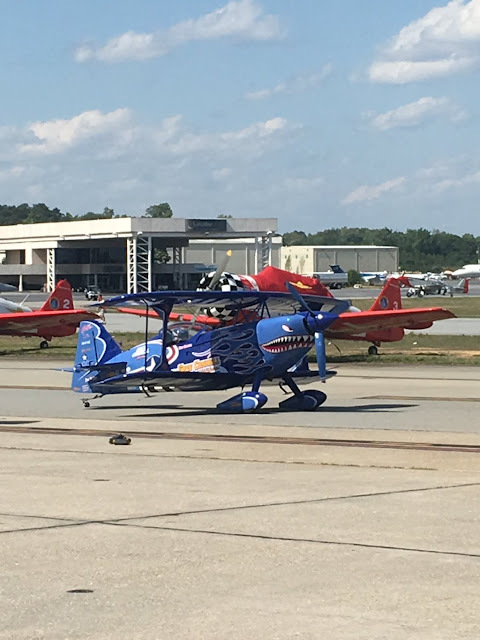 On May 14, 2016, about 1647 eastern daylight time, an experimental amateur-built Pitts S-2SW, N24CD, collided with terrain during an aerial display at DeKalb-Peachtree Airport (PDK), Atlanta, Georgia. The commercial pilot was fatally injured. The airplane was destroyed by impact forces and a postcrash fire. The airplane was registered to a corporation and was operated by the pilot under the provisions of Title 14 Code of Federal Regulations (CFR) Part 91 as an air show flight. Day, visual meteorological conditions prevailed at the time of the accident, and no flight plan was filed. The local flight originated from PDK about 1642. The pilot of the Pitts was performing air show maneuvers and was part of a flight of two with the other show pilot flying an MX2 airplane. The MX2 pilot reported that he and the Pitts pilot flew a practice routine the day before the accident. 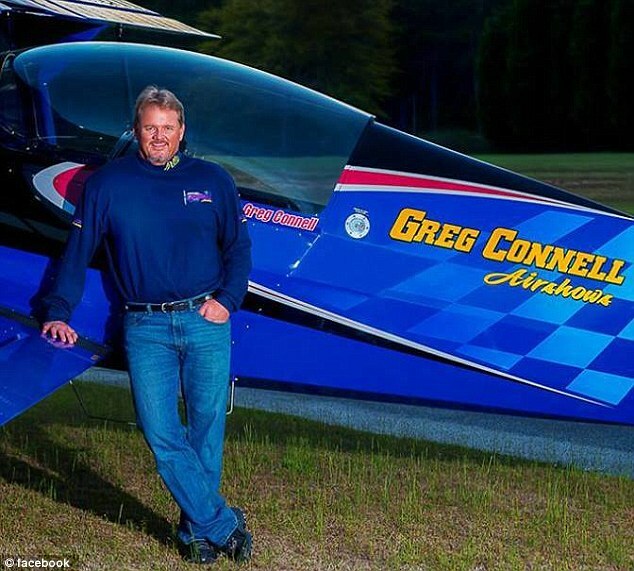 Before the accident flight, he and the Pitts pilot extensively briefed the show routine, then drove out to the "box," and "walked through the maneuvers" several times to prepare. The MX2 pilot stated that he and the Pitts pilot were well prepared for the airshow. After uneventful departures, the two pilots joined up into formation with the Pitts pilot in the lead and the MX2 pilot on his right wing. The routine began uneventfully, with the formation entering the show box from behind the crowd at 1,000 ft above ground level (agl). They performed a "switch break" with the Pitts breaking to the right and the MX2 breaking to the left. Both pilots made 180º turns back to show center with the Pitts pilot entering the show line from the right on a 030º heading and the MX2 pilot entering the show line from the left on a 210º heading. They had briefed "highway rules," meaning they would pass left shoulder to left shoulder, like driving a car. The two airplanes passed near show center at 30 to 50 ft agl. After this crossing maneuver, the MX2 pilot called out "ready-pull-now," and both pilots initiated a half Cuban-8, with the intention of simultaneously positioning the airplanes on 45º down angles toward show center, which was to be followed by another low altitude pass. A half Cuban 8 is an aerobatic maneuver where the pilot, from level flight, pulls through 5/8 of a loop, positions the airplane inverted on the 45º down line, rolls upright, then pulls out to level flight from the 45º down line. The MX2 pilot stated that he pulled much harder and positioned himself on the 45º down line much quicker than the Pitts pilot. As the MX2 pilot rolled out near the show line, on a heading of 030º, he expected the Pitts to be established over the show line and to his left, heading 210º. Instead, the Pitts was still above him on the 45º down line and well to his right. He estimated that the Pitts was about 200 ft or more to his right. The MX2 pilot knew that there was no chance of crossing on the show line, so he watched the Pitts to see what the pilot would do. He observed the Pitts pilot make a sharp bank to the right, toward his position, and then the airplane passed under him. The MX2 pilot did not see the Pitts impact the ground; he was not aware of the accident until he changed to the air boss frequency and was informed of it. The MX2 pilot stated that the Pitts pilot may have inadvertently reverted to using the center of runway 21L as the show line. The actual show line was established between runways 21L and 21R and was marked by orange barrels. The MX2 pilot reported that there was a "significant direct crosswind" blowing away from the spectators; however, he added that airshow pilots know how to adjust for wind, and it did not adversely affect their maneuvering. 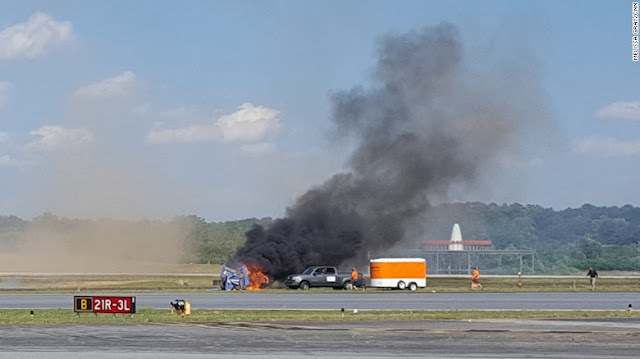 A witness, who was working support duties for another air show performer and was standing near the accident site, observed the air show routine and the impact. He reported that it was very windy at the time and that the wind was "howling out of the west." As he saw the two airplanes perform their Cuban-8 maneuvers, he noted that the wind blew the Pitts "too far to the east." The MX2 pilot appeared to be holding his line and compensating for the wind. He recalled that the Pitts pilot performed 11/2 aileron rolls at the top of the Cuban-8, and the rolls were "lazy." An examination of several spectator videos confirmed that the Pitts pilot performed a crossing maneuver with the MX2 over the airfield and then he pulled up into a Cuban-8. After the Pitts pilot pulled over the top, the airplane rolled 11/2 times to the left and was then established upright on the 45º down line. The wings then rocked back and forth, first to the left about 45º and then to the right approaching 90º. The airplane remained in a descending right bank and then appeared to level off immediately before ground impact. The lower, left wing appeared to impact the ground first. The pilot held a commercial pilot certificate with airplane multi-engine land, airplane single-engine land, and instrument airplane ratings. He held a Federal Aviation Administration (FAA) second-class medical certificate dated June 17, 2015, with no restrictions. He was the builder of the airplane, and he also held a repairman certificate for the airplane. According to the pilot's logbook, he had logged about 1,963 hours of flight time as of the last entry, dated April 26, 2016. He completed a 14 CFR section 61.56(a) flight review on May 2, 2015, in an RV-10 airplane. According to the FAA, the pilot obtained an FAA Form 8710-7, Statement of Aerobatic Competency (SAC), on May 17, 2014. The 2014 SAC was limited to solo aerobatics and "circle the jumper" maneuvers only. According to his pilot logbook, the pilot updated his SAC to include solo and formation aerobatics on July 11, 2015. The single-engine, single-seat, bi-wing airplane was fitted with a fixed, tailwheel landing gear. It was equipped with a Lycoming AEIO-540-FBAE engine rated at 325 horsepower. An examination of the maintenance records revealed that the airplane was manufactured in 2014 by the pilot. According to the maintenance logbooks, a condition inspection was completed on July 24, 2015, at a total airframe time of 106.7 hours. The reported weather conditions at PDK at 1653, about 6 minutes after the accident, included few clouds at 7,000 ft, visibility 10 statute miles or greater, and surface wind from 290º at 17 knots (kts) with gusts to 25 kts. Wind at 1645 was from 290º at 17 kts with gusts to 21 kts. Wind at 1650 was from 280º at 17 kts with gusts to 25 kts. At 1647, the two-minute average wind speed, which was updated every 5 seconds and reported once a minute, was 17 kts with gusts to 25 kts. Additional wind data is included in the public docket for this investigation. The airplane impacted the grass infield between runways 21L and 21R. The wreckage debris field was about 500 ft in length and was oriented on a heading of 235°. The main wreckage consisted of the fuselage, empennage, and the right wing. A post-crash fire consumed a majority of the main wreckage. A parachute was found in the cockpit seat, and there were no indications of deployment. The left wing upper and lower surfaces separated from the main wreckage during the impact sequence and were not burned. Flight control continuity was established from the ailerons, elevator, and rudder surfaces to the cockpit controls. All fractures to the flight control connection rods exhibited signatures of overstress. The fuel tank was breached from fire and impact; however, some residual fuel was observed. The wooden propeller blades were separated at the hub and were splintered. Engine internal continuity was confirmed from the propeller flange to the rear accessory drives. Compression and suction were observed on all cylinders when the crankshaft was rotated manually. The No. 2 through No. 6 top spark plug electrodes exhibited normal wear and color when compared to a spark plug inspection chart. The No. 1 top spark plug electrode had a thin layer of black soot. Both magnetos were removed and produced spark on all leads when tested. The fuel injection servo separated from the engine during impact. The throttle and mixture arms were in place and secure. The airflow section was about 75% obstructed with dried mud. The fuel flow divider was opened; it was clean and there was a small amount of residual fuel present. The fuel injectors were unobstructed. The rubber gasket was flexible and undamaged. The engine-driven fuel pump was removed for examination. The unit pumped fuel when operated manually. At the time of his most recent FAA medical certification exam, the pilot reported no chronic medical conditions or ongoing use of medications. 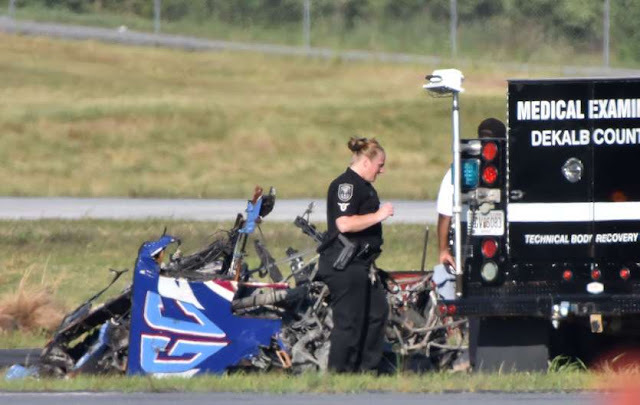 The Dekalb County Medical Examiner, Decatur, Georgia, performed an autopsy of the pilot and determined that the cause of death was blunt trauma, and the manner was accident. The autopsy report documented 40 to 50% focal luminal obstruction of coronary arteries without thrombi or plaque hemorrhage, and there was no evidence of old or new myocardial ischemic damage. No other significant natural disease was identified. The FAA Bioaeronautical Sciences Research Laboratory, Oklahoma City, Oklahoma, conducted toxicological testing on samples from the pilot. The non-impairing pain medication ibuprofen; the sedating antihistamine diphenhydramine; and the cough medicine dextromethorphan, and its metabolite dextrorphan were detected in urine but not in blood. The non-sedating decongestant pseudoephedrine and its isomer ephedrine were detected in urine and in cavity blood. On May 14, 2015, about 1647 eastern daylight time, an experimental amateur-built Pitts S-2SW, N24CD, collided with terrain during an aerial display at DeKalb-Peachtree Airport (PDK), Atlanta, Georgia. The commercial pilot was fatally injured. The airplane was destroyed by impact forces and a post-crash fire. The airplane was registered to a corporation and was operated by the pilot under the provisions of Title 14 Code of Federal Regulations Part 91 as an air show flight. Day, visual meteorological conditions prevailed at the time of the accident, and no flight plan was filed. The local flight originated from PDK about 1640. The pilot of the Pitts was performing air show maneuvers and was part of a flight of two, with the other show pilot flying an MX2 airplane. An initial examination of video provided by witnesses indicated that the Pitts pilot performed a crossing maneuver with the MX2 over the airfield, and then he pulled up into a loop. As the Pitts descended out of the loop, the wings rocked back and forth as the MX2 approached from the opposite direction. Immediately prior to ground impact, the Pitts appeared to begin a level-off maneuver. The airplane impacted the grass infield between runways 21L and 21R. The wreckage debris field was about 500 feet in length, and was oriented on a heading of 235 degrees. The main wreckage consisted of the fuselage, empennage, and the right wing. A post-crash fire consumed a majority of the main wreckage. A parachute was found in the cockpit seat and there were no indications of deployment. The left wing upper and lower surfaces were separated from the main wreckage during the impact sequence and were not burned. Flight control continuity was established from the ailerons, elevator, and rudder surfaces to the cockpit controls. All fractures to the flight control connection rods exhibited signatures of overstress. The fuel tank was breached from fire and impact; however, some residual fuel was observed. The wooden propeller blades were separated at the hub and were splintered. Engine internal continuity was confirmed from the propeller flange to the rear accessory drives. Compression and suction was observed on all cylinders when the crankshaft was rotated manually. The spark plug electrodes exhibited normal wear and color when compared to a spark plug inspection chart. Both magnetos were removed and produced spark on all leads when tested. The pilot held a commercial pilot certificate with airplane multi-engine land, airplane single engine land, and instrument airplane ratings. He also held a Federal Aviation Administration (FAA) repairman, experimental aircraft builder certificate and was the registered builder of the accident airplane. The pilot held a FAA second-class medical certificate with no restrictions. The pilot reported 1,800 total hours of flying experience on his medical certificate application that was dated June 17, 2015. The reported weather conditions at PDK at 1653, about 6 minutes after the accident, included few clouds at 7,000 feet, visibility 10 statute miles or greater, and surface wind from 290 degrees at 17 knots with gusts to 25 knots.